One click photo editing feature is very popular by the beginners. Most of the photo editors offers this functionality. However there could be very different results when using one click editing in several applications. Most of us are able to use manual editing and beautify our photos with more or less advanced techniques. But when we are in hurry, we all love one lick editing I think. Don’t you? As you can see, it is not a perfect autumn photo of the water, sky and wood. How will the photo software solve this problem using one click method? 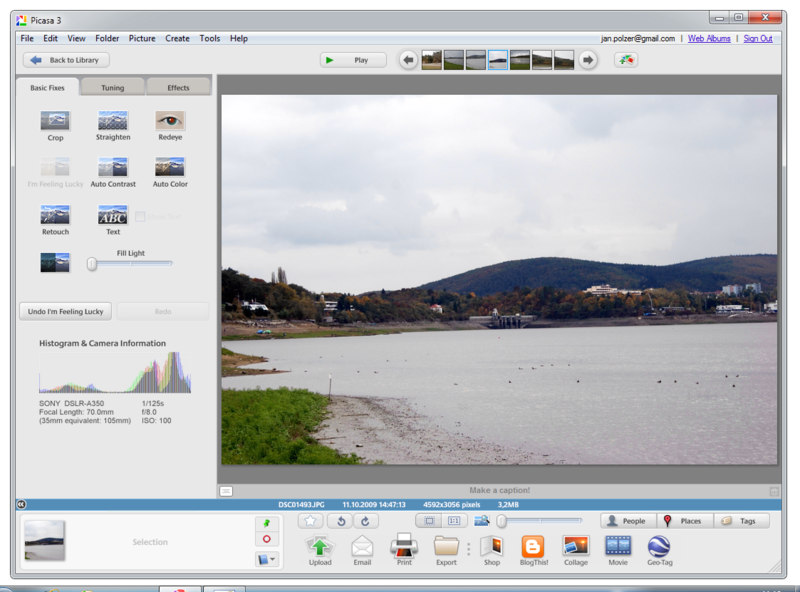 I’m not the regular user of Google Picasa, but I like this software for its easy to use interface. It is a great software for my parents. One of the newest features, face recognition, is simply great! You can organize your photos new way and attach the faces to the contact list in Google. Picasa is able to automatically recognize more photos of the same person. It is able to learn. One click photo editing feature in Google Picasa is called I’m Feeling Lucky. You will find it on the Basic Fixes tab when double click the image from the Library. There is a result. The colors are more saturated and maybe too much for my feeling. I’m feeling lucky works only with lighting and colors. Photoshop Elements from Adobe is something like Photoshop for home users. It offers nice photo organizer and cool editing features. Some of them are missing in the big Photoshop (or you have to use more steps to do the same). Adobe Photoshop Elements 8 is great for beginners and intermediate users I think. The one click photo editing is available as a SmartFix function in EDIT Quick mode. Just click the Auto button on its panel and wait for the result. 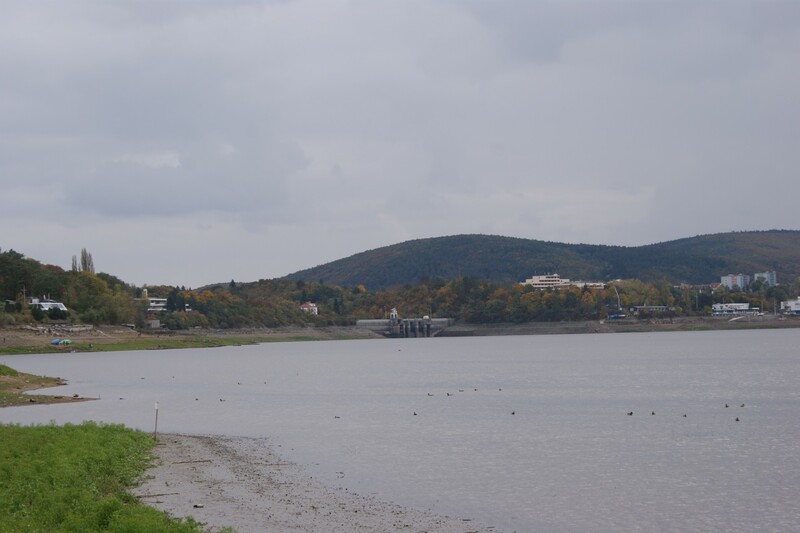 The colors are a little bit less saturated than in Picasa and the result is good for me. The “Paint Shop Pro” or the PaintShop Photo Pro X3 in a full name is nice photo editor from Corel (former from Jasc Software). It is my favorite software for the quick photo fix using advanced methods. 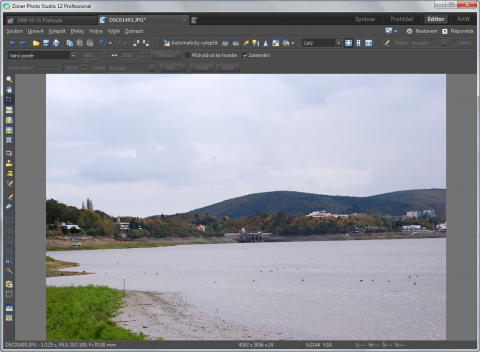 Yes, it is not so powerful as the Adobe Photoshop, but it offers many easy to use tools and functions. I have also write a book about Editing photography in PaintShop Pro (the link is to Google Translated Czech website). If you prefer really simple solutions, you can try Windows Live Photo Gallery from the Windows Live Essentials package. It is a free software from Microsoft which is meant as an add-on for the Windows 7 or an update for the Windows Vista or XP. 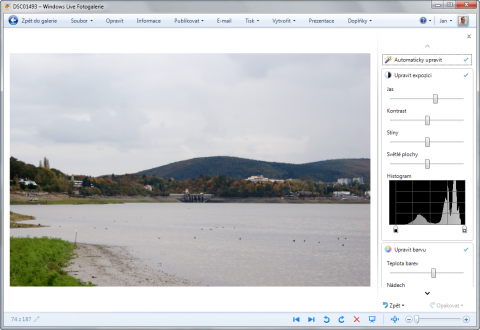 Windows Live Photo Gallery is rather the organizer than photo editing software. Similar to Google Picasa, the Windows Live Photo Gallery offers face recognition and linking to the Windows Live ID profiles. The one click editing feature is available when you click the Fix button in its toolbar. Just the first button on the right will provide a one click photo editing for you. The result is pretty good. Moreover, the one click editing feature in Windows Live Photo Gallery also provides the automating rotation! Great. My another favorite for photo editing and managing is Zoner Photo Studio. It becomes better and better with each its version. 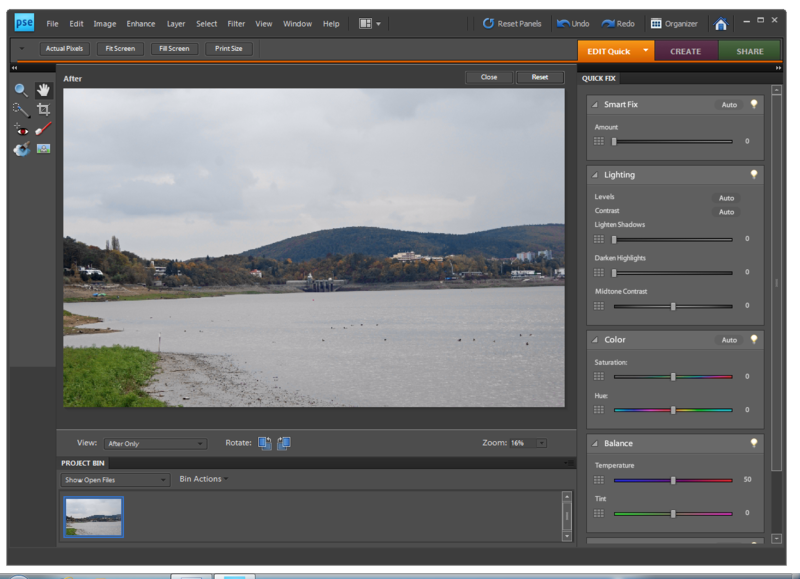 The latest version provides nice dark interface which is great for the photo editing. However I’m missing automatic face recognition which comes to be a standard in photo managing software. The one click photo editing function is available as the button in the toolbar. Just switch to the editor mode and click it. The result is well done in my eyes. What is your favorite? 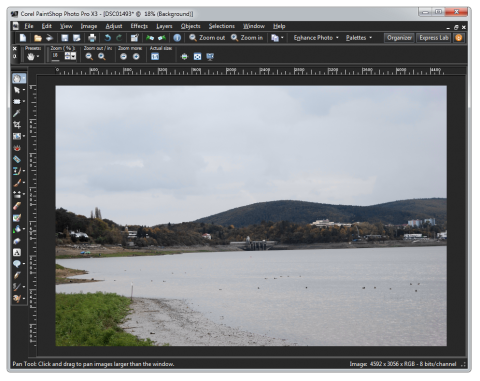 Do you use another photo editing software with one click fix button? If so, just download my source image, use the one click editing to it and upload it to the comments below this article.